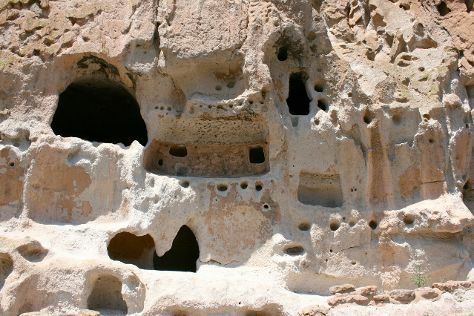 Explore Albuquerque's surroundings by going to Santa Fe (IAIA Museum of Contemporary Native Arts (MoCNA), Cathedral Basilica of St. Francis of Assisi, & more), Twin Warriors Golf Club (in Santa Ana Pueblo) and Kasha-Katuwe Tent Rocks National Monument (in Cochiti Pueblo). The adventure continues: enjoy unforgettable views with a balloon tour, explore the striking landscape of Pecos National Historical Park, explore the striking landscape at Petroglyph National Monument, and take an in-depth tour of Indian Pueblo Cultural Center. For more things to do, photos, traveler tips, and more tourist information, use the Albuquerque holiday planner. Chattanooga to Albuquerque is an approximately 6.5-hour combination of bus, flight, and taxi. You can also drive; or do a combination of bus and shuttle. The time zone changes from Eastern Standard Time to Mountain Standard Time, which is usually a -2 hour difference. In September in Albuquerque, expect temperatures between 83°F during the day and 60°F at night. On the 10th (Tue), wrap the sightseeing up by early afternoon so you can travel to Chattanooga. Get out of town with these interesting Chattanooga side-trips: Ocoee (Adventures Unlimited, River Rafting & Tubing, & more), Bald River Falls (in Tellico Plains) and Ellijay (Mountain Valley Farm, Green Willow Soap, & more). There's still lots to do: admire nature's wide array of creatures at Tennessee Aquarium, stroll through Raccoon Mountain Caverns, explore the fascinating underground world of Ruby Falls, and explore and take pictures at Rock City. To find photos, more things to do, and tourist information, go to the Chattanooga itinerary maker. Getting from Albuquerque to Chattanooga by combination of taxi, flight, and bus takes about 6.5 hours. Other options: drive; or do a combination of shuttle and bus. The time zone difference when traveling from Albuquerque to Chattanooga is 2 hours. In October in Chattanooga, expect temperatures between 74°F during the day and 51°F at night. Finish your sightseeing early on the 8th (Wed) so you can travel back home.